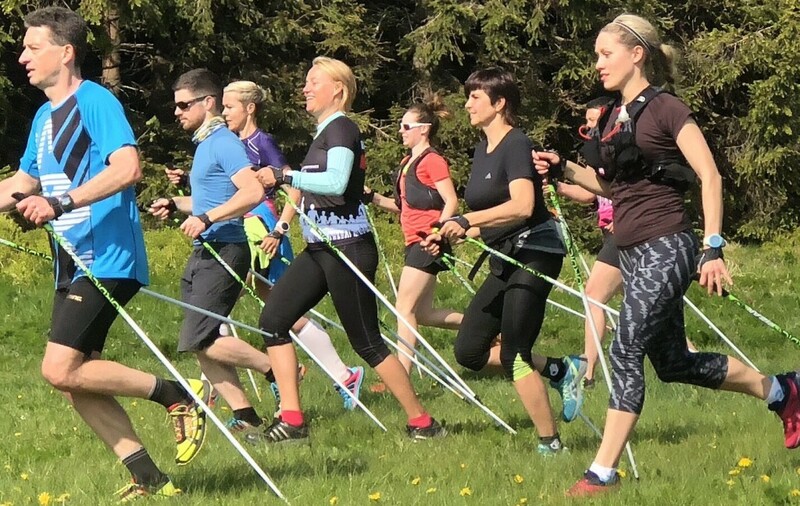 Welcome on website about the Running with running poles = NORDIC RUNNING. Our method is quite different from Nordic walking and from using a walking (trekking) sticks during alpine runs. The interest in the Nordic running is increasing since we won the competition European Athletics Innovation Awards with the thesis about this training method. We have been invited to scientific conferences, we have lectured at training seminars for athletic trainers, we have presented our method on training camps and a variety of running events. The extensive article about Nordic running was included in the prestigious journal of International Association of Athletics Federations IAAF New Studies in Athletics (Running with poles to increase training efficiency and reduce injuries, 2/2014). Also the specialized German magazine Leichtathletik Training published the text on this topic in one of its issues (Laufen mit Stöcken, 11/2013).